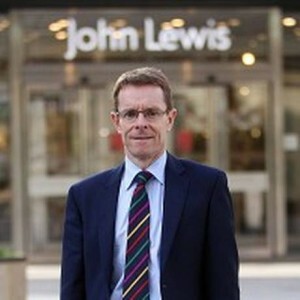 Open letter to Mr Andy Street MD of John Lewis – Have you delivered on your made in Britain promise? As loyal customers of John Lewis and campaigners for British manufacturing we were heartened to read in the press during the Summer of 2013 of your commitment to supporting the British manufacturing sector. At that time you mentioned that you intended to ‘increase sales of UK products by at least 15% by 2015 to £550m, amounting to more than 12% of annual revenues’. It was also noted that of the 350,000 products on sale across John Lewis in 2013 only 10,500 were made in Britain. Two years have now passed since you made this promise and, while we have admittedly seen some increase in the amount of British made goods stocked in store, we thought it would be interested to assess if your original targets have been met. We would be grateful of you could give us some hard data on the number of items John Lewis now stock that are available in store and online that are made in Britain and what percentage of John Lewis’ annual revenue sales were as a result of items made in the UK over the last 12 months? In the last 2 years we have seen similar commitments being made by large retailers such as Topman, Debenhams and Marks & Spencers. In the case of these 3 examples the resultant action, to back up the press coverage achieved by their announcements, ultimately failed to materialise in any significant form. It is indeed clear to us that John Lewis has made a far greater effort than the above to increase their British made stock since 2013 but we would like to see if you managed to meet the targets you set yourself. If you fell short of your promises then perhaps you could offer an explanation as to why this might have happened and what your ongoing commitments to supporting British manufacturers are moving forward? If you met, or indeed exceeded, your commitments then you should be duly commended and the public made aware of your achievements. We will keep our readers informed of any response we get! Here is a link to one of the articles in the Telegraph talking a John Lewis is other retailers commitment to made in Britain from July 2013. Good letter, I am looking forward to the response and really hope it is positive. In Waitrose I noticed their own brand toilet cleaner and washing up liquid was no longer being produced in the UK, although the website says the toilet cleaner is. Perhaps that one was a temporary issue and they may both revert but I will be keeping an eye on it and contact them if necessary. The one thing I know from previous experience is that John Lewis/Waitrose do normally react to feedback even if it takes a while. I noticed that Waitrose Baked Beans used to be Made in England but they no longer say that! !I guess like Tesco and Sainsburys they are now Made in Italy.Why are their Paper Towels Made in Belgium. I don’t believe they care about supporting UK manufacturing. Hi Mike and Brent, throughout our campaign to buy only British during 2013 Waitrose was often a lifesaver. Their own branded goods were consistently made in the UK. Their Toilet paper was in fact the only one we found made in Britain. It would be such a shame if they began slipping with this commitment. Well if they are slipping I will certainly be badgering them about it. On the paper towels Brent, I believe the Ultra range are made in the UK, but I do feel a grumpygramme coming on! They have been good in the past. A few years ago I pointed out to them that I could buy better quality British bakeware cheaper elsewhere. About a year later (and probably nothing to do with me in reality) they started stocking the British made (from British steal) stuff. I do think they will respond to pressure so the more of us write the better I would say. Waitrose toliet paper is British made and not expensive either. Love the fact that there are so many comments about British made toilet paper!